“We are still in an expansion cycle in the medium-duty space. We have just had very moderate, sustainable growth since 2010,” said Steve Tam, vice president of ACT Research Co.
“So many of these medium-duty vehicles are service-based. If you look at the economy this year, just the top line, the service portion of the economy actually outperformed goods-based performance,” Tam said. 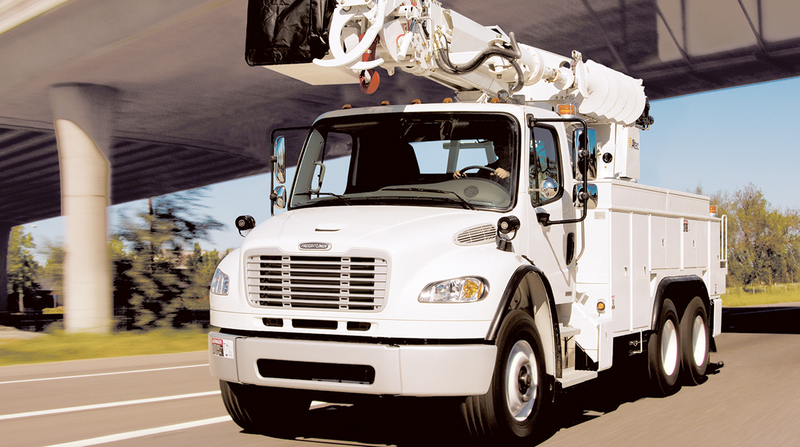 In related news, Peterbilt Motors Co., a Paccar Inc. brand, gave attendees at the recent Consumer Electronics Show in Las Vegas the first look at its all-electric medium duty Model 220EV. The Class 6-7 220 was originally launched in 2014, according to the Denton, Texas-based truck maker. The new EV version features a range of more than 100 miles and a recharge time of a few hours, and is targeted at local pick-up and delivery operations. Peterbilt will begin delivering the 220EV this summer.